My daughter spends the morning at an Easter Egg hunt. Her father slumbers upstairs with a combination of a migraine and jet lag of uncertain proportional percentages. I hover by the coffee machine but take a different option. I curl up with two boys who are under the weather, off colour and not quite themselves, following a week of fever. One burrows his medicine ball head into my thigh, powerful and needy but more than merely proprioceptive input. The little one permits me to put an arm around his waist, well away from the danger area above his shoulders. No-one says a word, snug and silent for a change. I debate whether to commence word extraction? My finger circles the palm of his hand in idleness. 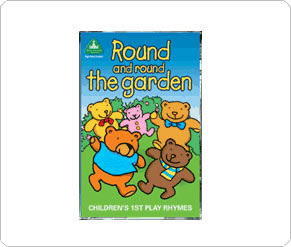 It reminds me of the baby game, ‘Round and Round the Garden, like a teddy bear…….’ a game that has never been fun, a banned game. Such a commonplace little pastime. Such an impossible hurdle. The words ‘teddy bear’ were always a certain trigger for a meltdown. I had to substitute different words and remove the tickle. ‘Little hare’ was feeble. A fingertip to the nose instead of a tickle, was also in the reject box, just as you would expect from someone with sensory issues. I don’t dab at his nose with a tissue because I learned that lesson a long time ago. I see the moisture glisten, untouched and undisturbed, reluctant to break the peaceful spell. His finger nudges mine, his head nods encouragement, his eyes send a mixed message. I begin circling again, gently walk my fingers up his forearm, upper arm, shoulder, pause on his chin and then to fingerprint his nose. Is seven years too late? Maybe I should have used permanent ink? Posted on March 22nd, 2008.